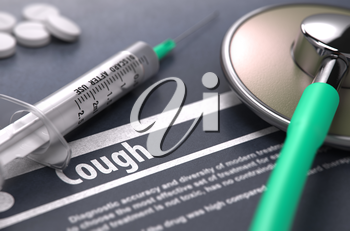 Cough - Printed Diagnosis on Grey Background with Blurred Text and Composition of Pills, Syringe and Stethoscope. Medical Concept. Selective Focus.